I am excited to announce that today is my first day in the office at World Vision Canada. I have taken on the new role as a Nutrition Specialist Intern for the next 8 months. I will be working on The ENRICH Project. This project is focused on enhancing nutrition services to improve maternal and child health. World Vision is leading a group of Canadian development organizations in this new $41.5 million project to improve nutrition in five countries: Kenya, Tanzania, Bangladesh, Pakistan and Myanmar (Burma). The ENRICH project will leverage the expertise of the Micronutrient Initiative, HarvestPlus, the Canadian Society for International Health (CSIH), the University of Toronto’s Dalla Lana School of Public Health, and the Hospital for Sick Children. 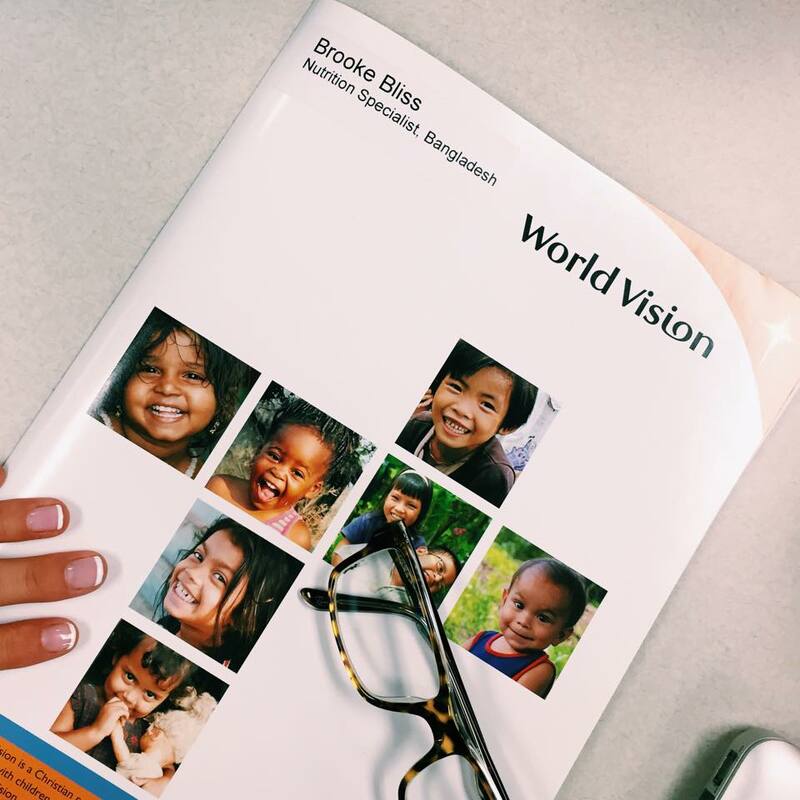 Together with World Vision, these organizations will offer a full package of nutrition programs to help reduce maternal and newborn mortality, stunting and wasting in children, and break families out of the cycle of poverty. I’m thrilled to begin my new position and create a positive impact on the nutrition sector internationally. I will not be travelling to the field until November BUT when I do… make sure to keep following A Teaspoon of Bliss for updates on my travels, THE FOOD, and my experiences in Bangladesh! I am looking forward to sharing my experience with all of you.